Prompt students to become the sophisticated readers, writers, and thinkers they need to be to achieve higher learning. The authors explore the important relationship between text, learner, and learning. 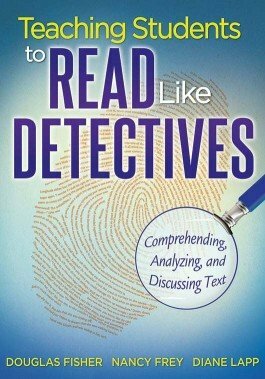 With an array of methods and assignments to establish critical literacy in a discussion-based and reflective classroom, youll encourage students to find meaning and cultivate thinking from even the most challenging expository texts. Learn how to establish an inquiry-based and reflective classroom. Explore methods to help students engage deeply with their own ideas. Gain examples of student and teacher dialogues, teacher modeling, and graphic organizers. Review sample assignments, organizational routines, and instructional strategies. Build an understanding of literary and expository texts. Find techniques to make classroom discussions productive and safe.